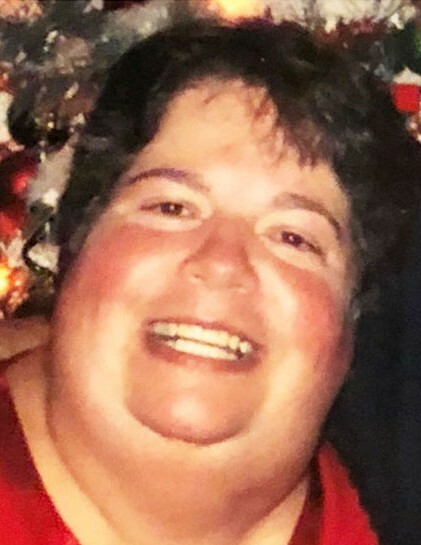 Ruth Ann Chapman, 63, passed away August 5, 2018 surrounded by her family. She was born February 10, 1955 in Price, Utah to Morris and Ruth Guymon. She married her sweetheart, Thomas Blaine Chapman, in the Manti Temple November 19, 1977. Ruth Ann grew up in Huntington Utah, attended College of Eastern Utah and Brigham Young University earning her bachelors degree in English and minoring in Teaching and Drama. Theater was huge part of her life. She loved making costumes, crafts and was an expert storyteller. She enjoyed spending time with her family and playing and singing with her grandkids. She loved unconditionally everyone she met. Survived by husband, Thomas; children, Elizabeth (Russell); Joseph (Jamie); Megan (Robert); Jennifer (Timothy); 13 grandchildren; sister-in-law, Thelma; sister, Loretta (Ralph); many nieces and nephews, family and friends. Preceded in death by parents, Morris and Ruth Guymon; in-laws Blaine and Zona Chapman; brothers, Maughan and Quinn; sister-in-laws, Ellen and Joan. Viewings will be held from 6-8 pm Wednesday, August 8, 2018 at Goff Mortuary, 8090 S. State St., Midvale, UT 84047, and 10-10:45 am Thursday, August 9, 2018 at Westbrook 6th Ward Building, 6364 S. 3200 W., West Jordan, UT 84084. Funeral services will start at 11 am Thursday, August 9, 2018 at the Westbrook 6th Ward Building. Burial service held following the funeral at Utah Veterans Cemetery Memorial Park, 17111 S. 1700 W., Bluffdale, UT 84065.